These are AAA multi faceted natural blue topaz measuring approx 9x7mm. 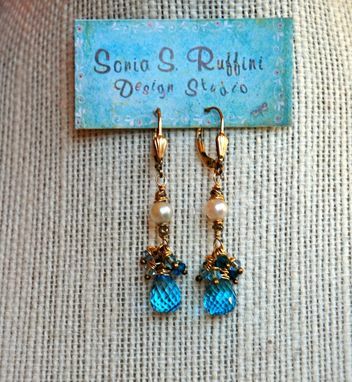 They are wire wrapped using 14k gold-filled wire and attached to a 14k gold-filled french ear wire. 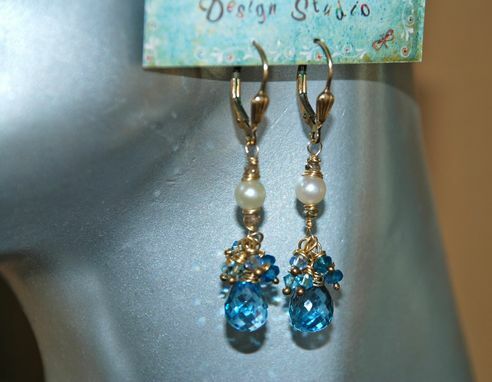 A natural soft 5mm ivory pearl is sandwiched between two tiny rough diamonds and Swarovski Crystal and dark blue appetite roundelles hang loosely and delicately above the blue topaz. 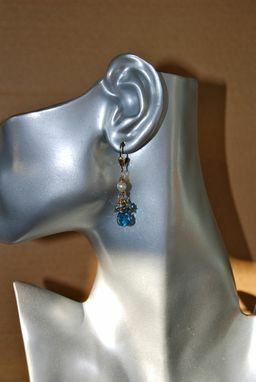 I can also do these using rubies, sapphires, tourmaline and quartz, and 14k solid gold.